This outstanding geometric pattern with gold reflective bevels, is designed to provide a delightful play of light in your home. Sometimes simple is best. This series uses geometric, rectangular and rounded shapes to create a rich classic appearance. 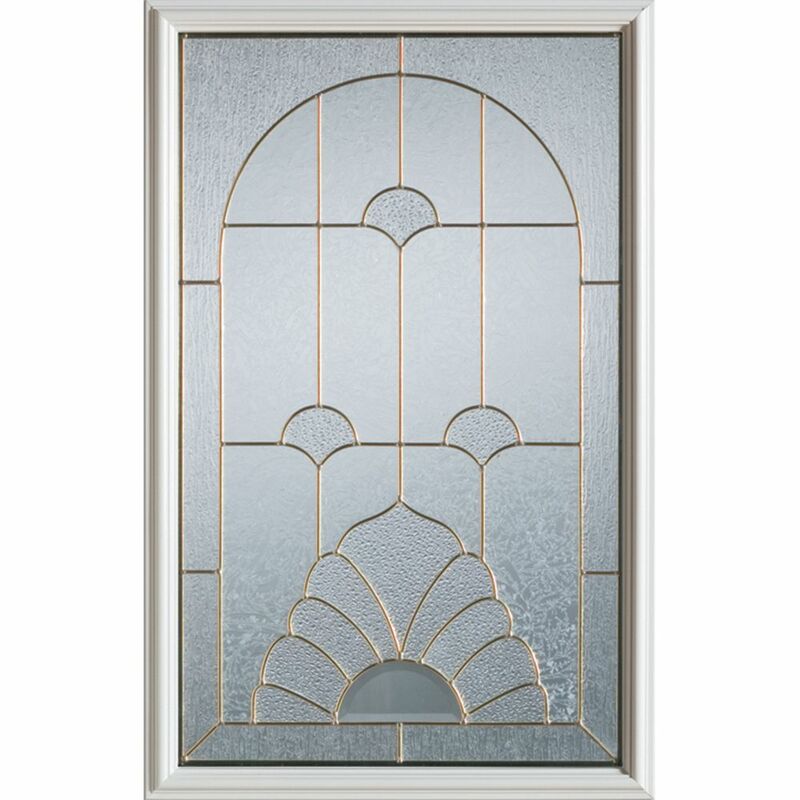 23 inch x 37 inch Florentine Zinc Caming 1/2 Lite Decorative Glass Insert Clear beveled half moons are just one feature of this attractively patterned glass lite. Rounded out with complementary textured and beveled glass and a distinctive caming pattern, this insert has a traditional yet modern feel.